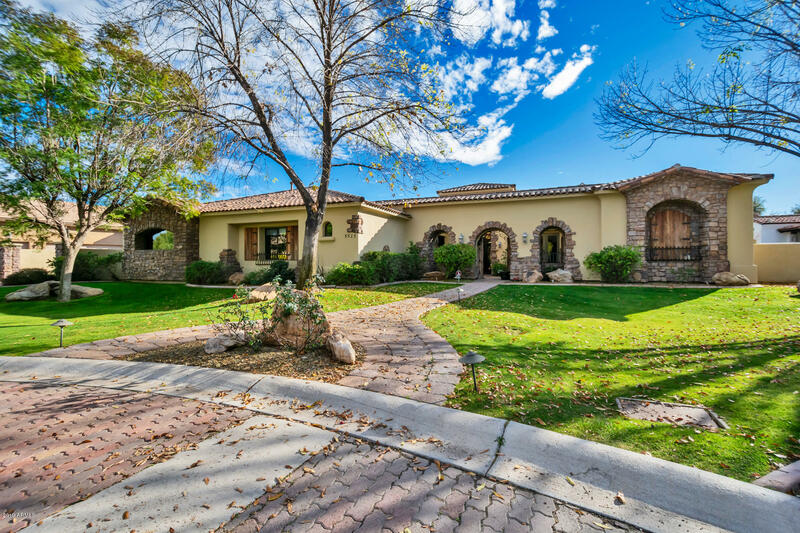 All HAMELOT homes currently listed for sale in Scottsdale as of 04/23/2019 are shown below. You can change the search criteria at any time by pressing the 'Change Search' button below. "First time available, this spectacular Santa Barbara residence is located in the coveted, gated community of Hamelot, where homes rarely come to market. The close-knit enclave of nine executive residences is one of the best kept secrets in Scottsdale residential real estate. With many updates and upgrades in 2013, this home features natural elements throughout, including hardwood floors and Cantera stone accents. Tech upgrades include fully automated smart home system, Lutron lighting througho"
"Executive-style home with storybook curb appeal, uniquely secluded at the end of a private culdesac street of 10 custom residences. Paver walkway winds to a charming front courtyard offering a main entrance to the home, & secondary entrances to the office, game room, & bedroom 2. A soaring great room with tall, south-facing windows greets you through the iron front door. Off the foyer is a north facing office w/ coffer ceiling & custom built-ins. Split master suite has oversized, luxurious bath "